Pitaya created orginal work 'Red Weed' for Longbridge Light Festival 2014. The 'Red Weed' art work was inspired from the 'Red Weed' in the science-fiction novel 'War of the Worlds' by H.G Wells. 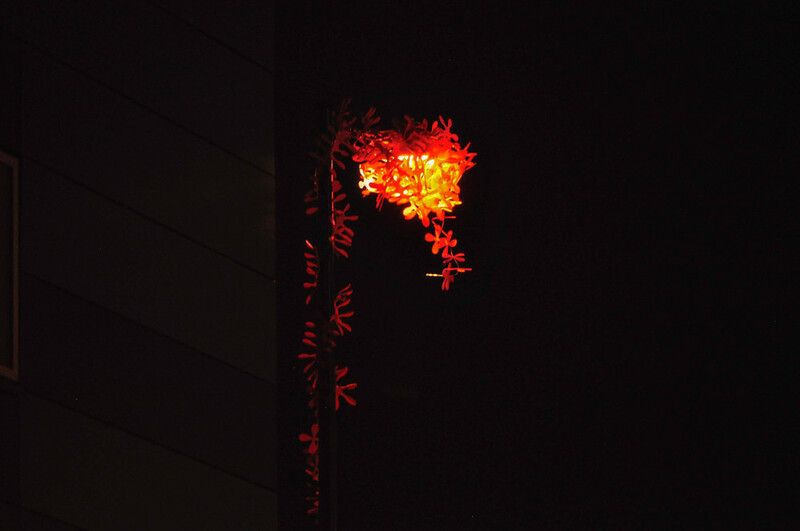 On the night of the festival the 'Red Weed' could be seen growing on the street lights of Longbridge changing the atmosphere of the new development from day to night. They were also invited to exhibit work as part of the Longbridge Public Art Project launch event in 2013. Pitaya were founded in 2004 by designers David Lesort and Arnaud Giroud. Since 2006, light has played a special part in their work. The duo from Lyon design and develop original and innovative solutions for festive lights in public spaces, both in the form of light festivals or Christmas illuminations for cities or shopkeepers’ associations. They create custom-made, environmentally-friendly concepts and place emphasis on aesthetics in both by day and by night. Pitaya Studio strives to bring light to public spaces in a smart and creative way. 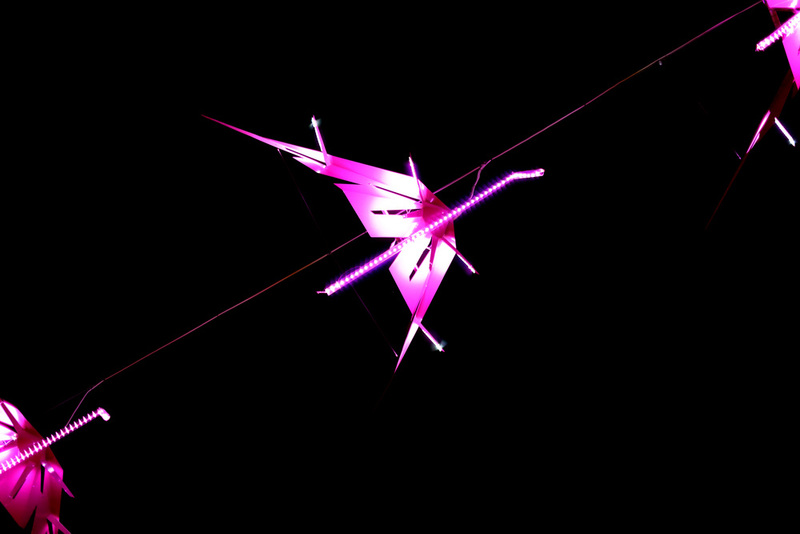 Their work has been exhibited in several light festivals around the world including Dubai (UAE), Nishinomiya (Japan), Geneva (Switzerland) and Jerusalem (Israel). They have also worked on specific Christmas lighting designs, creating lights for seven sites all around the new Beirut city centre area (Lebanon).